TW/THW is a solid or stranded, soft annealed copper conductor insulated with Polyvinylchloride (PVC). It is UL rated for 600 volts. #10, 12, and 14 AWG are 19 strands; all others are "highly flexible" stranding constructions. Annealed uncoated copper conductor. Class B, soft drawn, bare copper per ASTM B3 and ASTM B8. 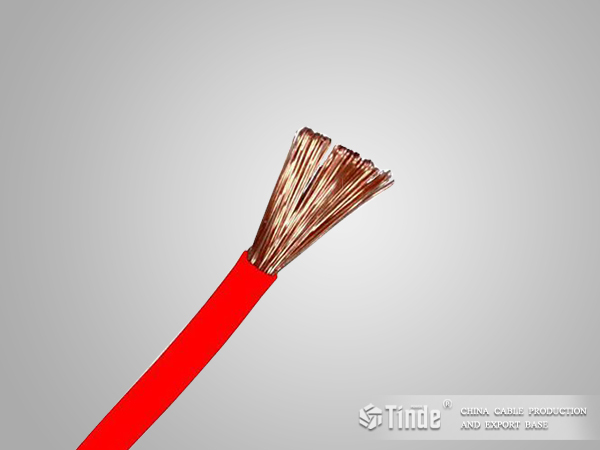 Both tinned copper conductors and extra-flexible conductors are available as options. Heat and moisture resistant polyvinyl chloride (PVC) meeting the requirements of ICEA S-95-658 (NEMA WC 90) UL 83 for Type THW and wires. The insulation is suitable for use in wet or dry locations at a conductor temperature not exceeding 75° C for normal operation. Single conductor cables can be paralleled or multiplexed for more efficient installations. Single conductor cables can also be pre-installed in conduit. TW/THW wires are intended for use as grounding wire and other general purpose power wiring in residential, commercial, and industrial applications. ►Conductors are solid or stranded annealed or hard uncoated copper. ►Insulation is a polyvinylchloride (PVC) material applied tightly to the conductor. ►Surface or indent markings for cable identification. ►Conforms to ASTM B-3 and UL 83 for copper conductors. ►Listed by UL as Type THW per Standard 83. ►All sizes carry the VW-1 flame test designation. ►Listed by UL as Oil Resistant I. ►Listed by UL as Sunlight Resistant (250 kcmil and larger, black only). ►250 kcmil and larger pass UL and IEEE-383 ribbon burner flame test and are listed For CT Use. ►Conforms to Federal Specification J-C-30B.